Sooner or later you’ll come across a watch that has a broken watch stem because it’s one of those parts that often break. Or perhaps you want to replace a worn crown or upgrade it for an original crown and the length of the old stem isn’t right. With this guide, you can easily replace the winding stem yourself. If you don’t have a healthy stock of spare stems, you’ll need to order a new one. To be able to do so, you need to identify the movement. If you know what movement it is, you can buy a new stem on Cousins UK or Windingstems.com. You can also use a Ronda catalogue to order a new stem. If you don’t know the brand and caliber, you can even use the Ronda catalogue to identify the stem with the dimensions of the square part and other dimensions. First, remove the old winding stem or any parts that are left inside the watch. 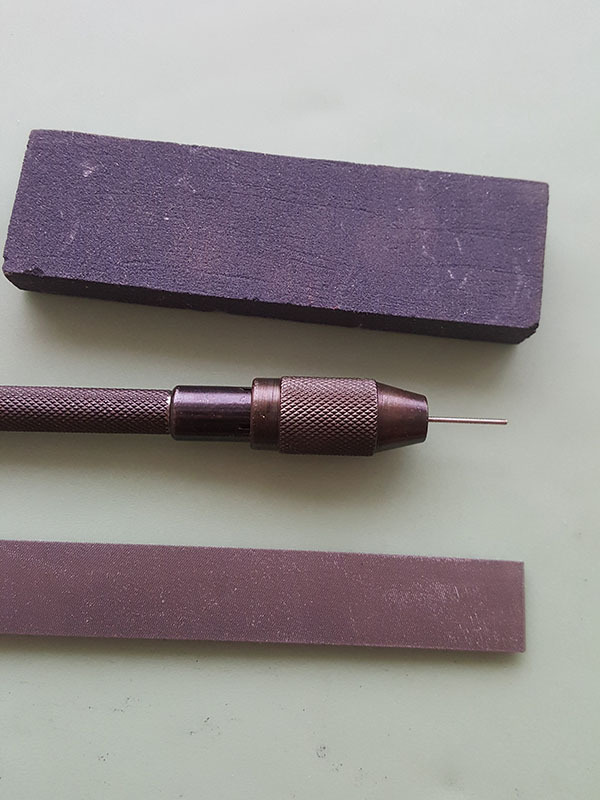 Place the winding stem in a pin vice to hold it firmly while you work. A pair of pliers might cause damage. Especially when you’ve to trim it down to the correct size and there isn’t much thread left to grip on. You won’t have this problem with a pin vice because you can use it to grip the entire stem without damaging it. Important! New winding stems always have a pointy end. That’s where they’re cut by the machine during production and it leaves a pointy or V-shaped cut. Use your end cutters and a finishing stone to create a nice new flush end before you fit the crown. You’ll have to create a flush end after you’ve trimmed the winding stem to size as well. So, if you measure with the pointy end, the measurements might be off and the crown and stem won’t fit. Fit the crown to the winding stem. Make sure to fit it firmly for correct measurements. Be careful not to damage the crown. 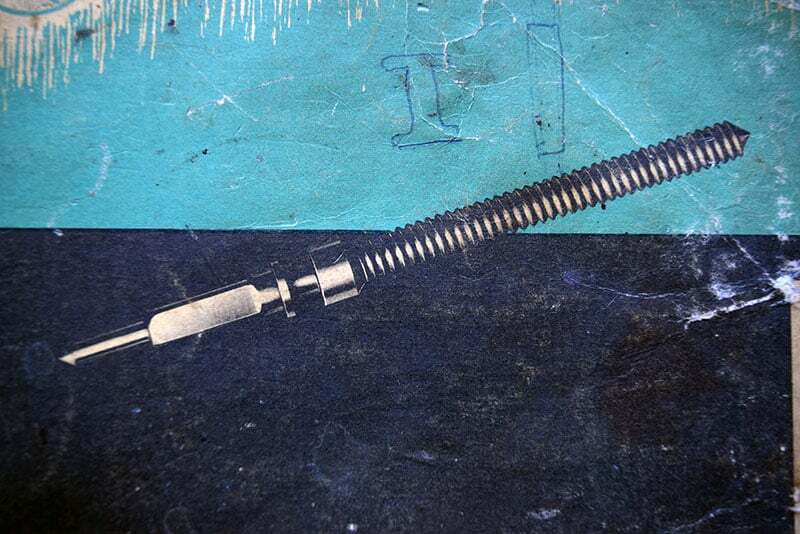 The winding stem is very hard and you can easily damage the threads of the crown because they’re a softer metal. Insert the crown and the winding stem into the watch as far as possible. Make sure to secure the stem with the set lever and check if everything works. Pull the crown and push it back in a couple times. Check if you can wind the watch and set the time. If the winding stem is exactly the right length, the crown will be perfectly flush against the case and everything works as it should. If it’s too short, the crown will be flush against the case too but it doesn’t function properly. You won’t be able to push the crown far enough to wind the watch. Or the groove next to the square end of the winding stem won’t reach far enough so the set lever won’t lock it. Every time you want to set the time, you’ll pull the stem and crown out of the watch. This is very rare, though. In this stage, the winding stem is almost always (much) too long. The crown won’t be flush against the case. You need to know how much of the stem you need to cut to end up with exactly the right length. Make sure that the crown and stem are in the winding position. Use your digital calipers to measure the distance between the case and the bottom of the crown. Write this number down so you won’t forget it. Remove the crown and stem from the watch and remove the crown from the winding stem. Again, use the pin vice to safely hold the stem. Use your digital calipers and set it to the length that needs to be cut. Mark the stem with the marker pen at the exact position where it needs to be cut. It may seem unnecessary to mention but you have to start measuring at the threaded end. After you’ve marked the stem, it’s time to cut it. Use your end cutter to carefully cut it at the marked position. A good quality end cutter will leave a nice straight cut. Be careful not to cut too much! You can always file off some more but you can never file it back on. Use the file and the finishing stone to create a flush and straight end that the crown will be able to screw on to. Try to screw on the crown. If it doesn’t screw on yet, use the file and the finishing stone to file the new end a bit more. Be careful not to take off too much with the file. Only file away the burrs and smoothen the edges. Screw the crown back on firmly and insert the crown and stem into the watch as far as possible. Secure the stem with the set lever and check if everything works. Wind the watch, pull the crown and set the time. Hopefully, everything is functioning properly and the crown is nice and flush against the case. But it’s very likely that you’ll have to remove the stem and the crown and repeat step 10 until you’re satisfied. If it’s still much too long, you could even go back to step 9. When the crown is flush against the case and everything works as it should, remove the stem and crown for the final time. Remove the crown from the stem and screw it back on after you’ve applied some thread locker (Loctite). This will make sure that the crown will never come loose unless you want it to. Insert them back into the watch and secure it with the set lever. Do you have some more tips about replacing a watch stem? Leave them in the comments below.